In his lifetime, artist Michelangelo was popularly known as “Il Divino”—“The Divine One.” The immensity of his talent seemed to put him beyond human categories. But renowned Michelangelo expert William Wallace has spent his career trying to dispel that idea, helping readers to find the familiar in an extraordinary artist’s day-to-day life. Art historian William Wallace will deliver the keynote address for this year’s Ferrari Humanities Symposia on March 26 at 5 p.m. in the Hawkins-Carlson Room of Rush Rhees Library, on the University of Rochester’s River Campus. His talk, about the artist’s late years, is titled “Michelangelo, God’s Architect.” The event is free and open to the public. On March 27, he’ll take part in a conversation at the Memorial Art Gallery with Jonathan Binstock, the Mary W. and Donald R. Clark Director of the MAG. “Michelangelo: Believe It or Not” will discuss the works that people have attributed to the artist and what these attributions reveal about their own eras. This event is free and open to the public; RSVP by calling 585-275-7393. Wallace is this year’s Ferrari Humanities Symposia keynote speaker. The Barbara Murphy Bryant Distinguished Professor of Art History at Washington University in St. Louis, he is the author and editor of seven books on Michelangelo, including San Lorenzo: The Genius as Entrepreneur (Cambridge University Press, 1994) and Discovering Michelangelo: The Art Lover’s Guide to Understanding Michelangelo’s Masterpieces (Rizzoli International Publications, 2012). He’s been aided in his quest by the exceptional written record Michelangelo left. But Michelangelo scholars have some 1,400 letters to consult, hundreds of them Michelangelo’s own. In his book Michelangelo: The Artist, the Man and His Times (Cambridge University Press, 2010), Wallace makes use of the 900 letters to the artist that have never been published in English. 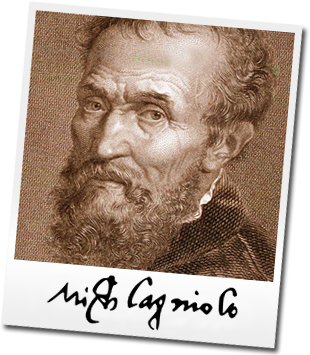 And because Michelangelo, unlike da Vinci, frequently worked in official capacities, he was enmeshed in the Italian Renaissance’s bureaucracy. “And bureaucracies keep records,” Wallace says. The most widely known depiction of Michelangelo is Irving Stone’s 1961 novel, The Agony and the Ecstasy, which became an Oscar-nominated movie starring Charlton Heston in 1965. Stone’s treatment contrasts the ecstasy of Michelangelo’s artistic creation with the agony of a purportedly isolated life. He made the most of his additional years by creating what was essentially a new career, turning to architecture in his 70s and 80s at the behest of Pope Paul III. Building St. Peter’s Basilica and six other major architectural projects brought Michelangelo into close collaboration with many others. The results were profound: “He was helping to transform Rome into the city we know today,” says Wallace. 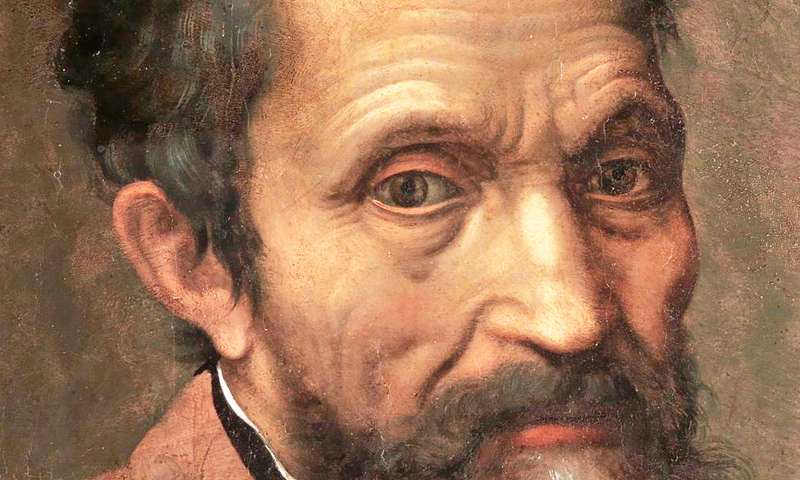 The subject of his latest research is Michelangelo’s work in his final decades. He managed hundreds who worked under him with efficiency and expertise, and he relied on others who’d long been loyal and close to him. Wallace offers one other glimpse of the artist that may do even more to humanize him: Michelangelo loved a good joke. University Trustee Bernard Ferrari ’70, ’74 (MD) and his wife, Linda Gaddis Ferrari, established the symposia to broaden the liberal education of Rochester’s undergraduates, enhance the experience of graduate students, and expand faculty connections with scholars around the world. The series was established in 2012, and has hosted speakers including Anthony Grafton, Stephen Greenblatt, and Jane Tylus. A full schedule for this year’s symposia is available here.